TO VALIDATE YOUR PRODUCT WARRANTY under the terms of Polyflor Canada Inc's Limited Product Warranty, complete the form below and mail or e-mail it to Polyflor Canada Inc. within 90 days of installation. 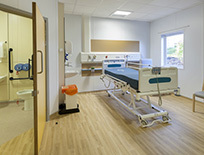 All Polyflor, Polysafe & Expona product lines typically feature a 10-year limited product warranty. Polysafe product lines featuring a 12-year limited product warranty. Polyflor product lines featuring a 15-year limited product warranty. For further information on Polyflor product warranties please download the PDF below.